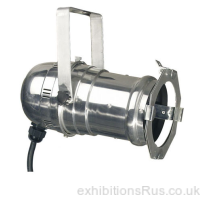 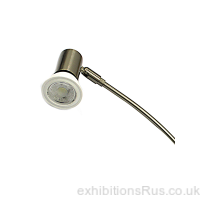 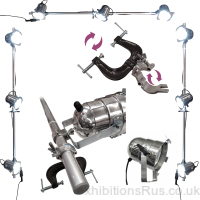 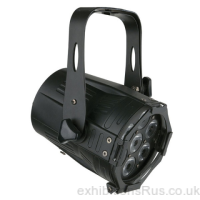 Exhibition Lighting, trade show lighting, display stand lighting, we can provide a range of lighting fixtures and fittings for these purposes. 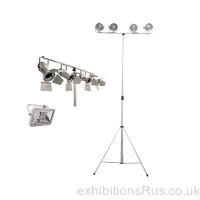 Here you can choose which style, wattage and type of light best suits your particular application, display, show, event, banner stand, lighting truss or any other lighting application requirement you could have to fulfill. 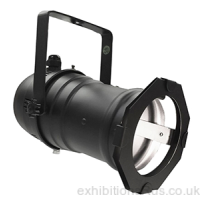 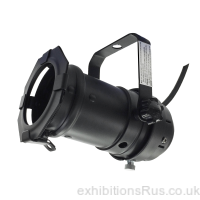 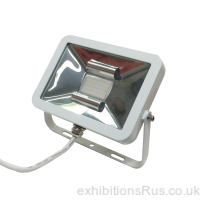 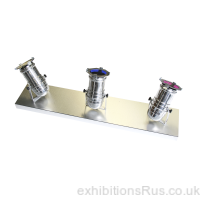 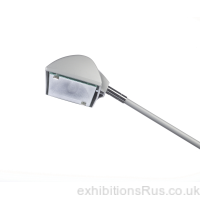 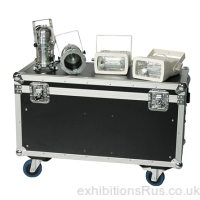 For lighting types we have Led, Halogen and RGB colour mix units, flood and spot lights, with outputs of 5w to 150 watts catered for. 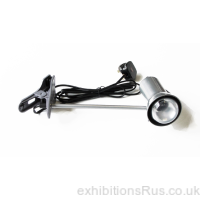 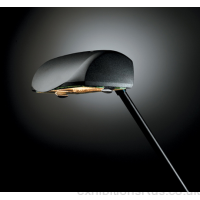 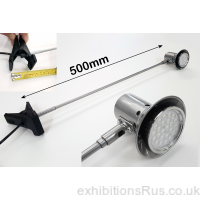 We can also offer various cable solutions to go with our off the shelf lighting configurations or an individual lighting fixture that you may already have. 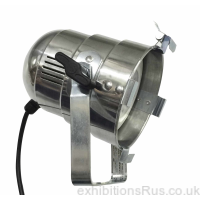 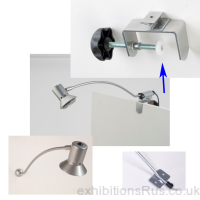 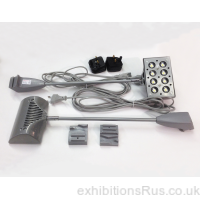 We look to supply lighting in 2 to 3 days, same day dispatch could be possible on some of our exhibition and display lighting but we advise you to call to confirm, especially if you require some custom cabling or wiring up of a light fixture.